- Hikvision DS-7104HGHI-F1 720P (1MP) 4Channel Turbo HD DVR 1Pcs. - H.264 & Dual-stream video compression. Support both HD-TVI /analog and AHD cameras with adaptive access. - Full channel@720P resolution non real-time recording. HDMI and VGA output at up to 1920×1080P resolution. 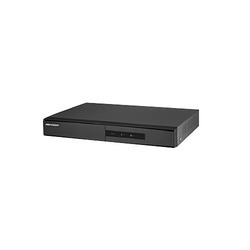 This Hikvision HD DVR is developed using the advanced technology and performance tested material. We are highly engaged in offering optimum quality Hikvision DVR in the market. To furnish the varying desires of our customers, we are immersed in offering a world class consignment of Hikvision 8 Channel DVR.